Former Chelsea midfielder Michael Essien hopes Belgian star Eden Hazard stays at the club and continues his impressive form. Hazard was tipped to leave Stamford Bridge during the transfer window, with Real Madrid said to be interested, after admitting in July he was tempted to try ‘something different’. 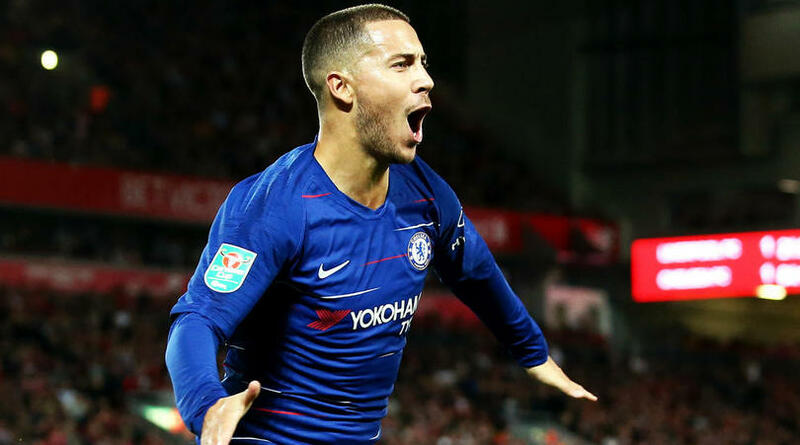 However, the Belgium star later said he was happy to stay and has been exceptional under Maurizio Sarri this season, scoring seven goals in eight Premier League appearances and netting a stunning EFL Cup winner against Liverpool. ‘First of all, it’s still good to have him with us, he’s such a good footballer,’ he told Omnisport. ‘He had a very fantastic World Cup and he came back and he’s been doing very well at the moment. Chelsea’s 3-0 win over Southampton on Sunday moved them on to 20 points from their first eight games, with only Manchester City ahead of them in the table on goal difference. ‘It’s been good. They have had a very good start,’ said the 35-year-old. ‘They are playing very good football at the moment, winning games. Fingers crossed that will continue to the end.